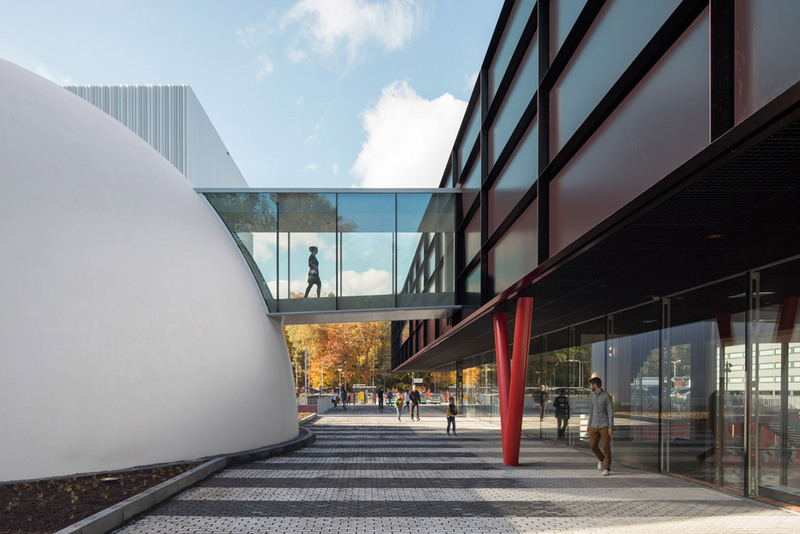 Shift Architecture Urbanism has built a spherical cinema, a cube-shaped gallery and an elevated walkway to generate a complex of design, science and technological innovation museums in the Netherlands (+ slideshow). 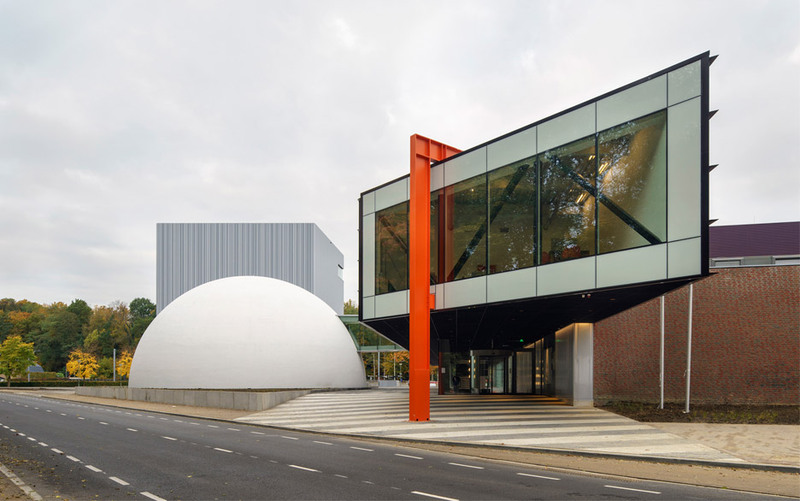 Rotterdam-based Shift added the three unusually-shaped buildings to an existing science and technology museum named the Continium Discovery Centre. 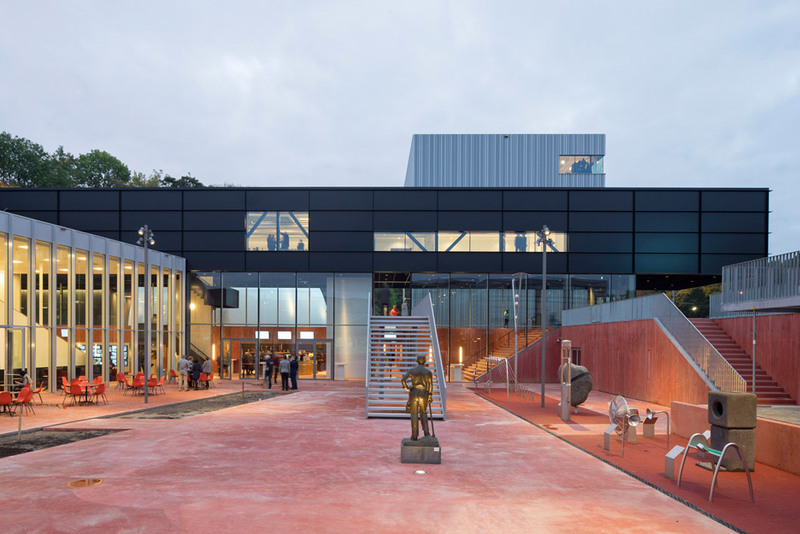 The new large complex has been rebranded as Museumplein Limburg. 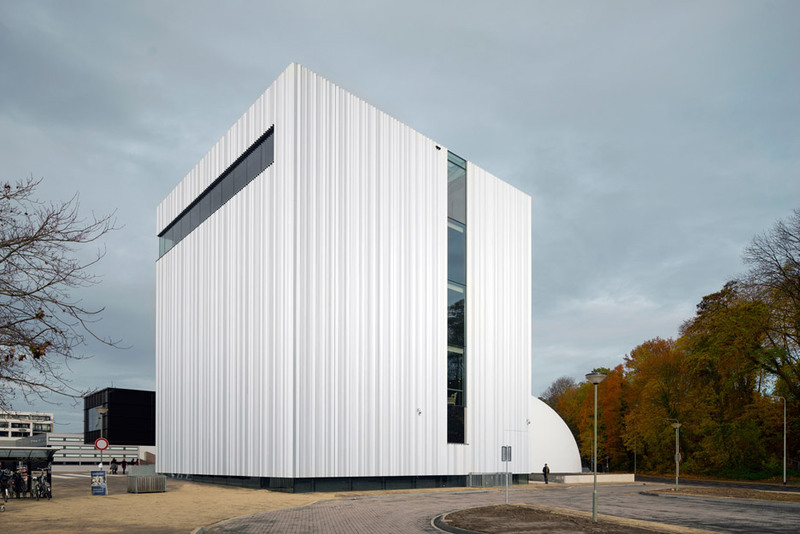 It is found on the outskirts of Kerkrade, a town on the Dutch-German border. 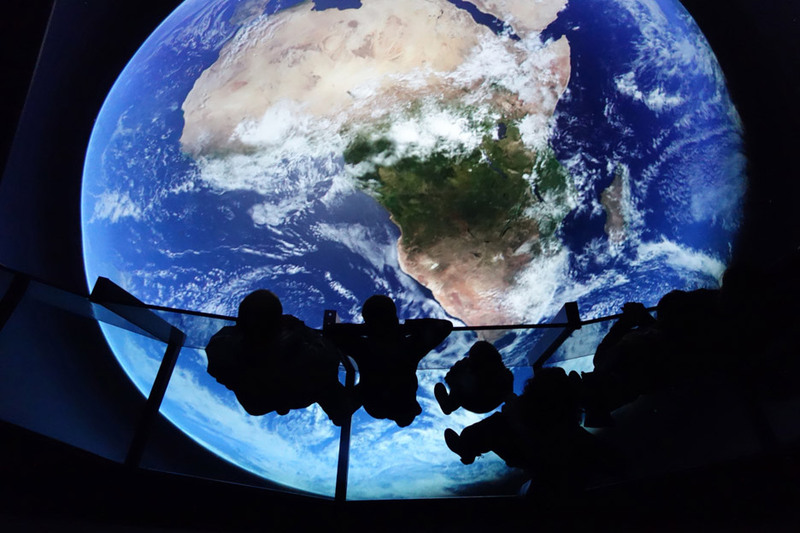 Cube is billed as the very first devoted style museum in the nation, while the spherical Columbus Earth Theatre is Nationwide Geographic’s first 3D cinema in Europe. The Beam walkway acts as a connecting element amongst the old and new museums. 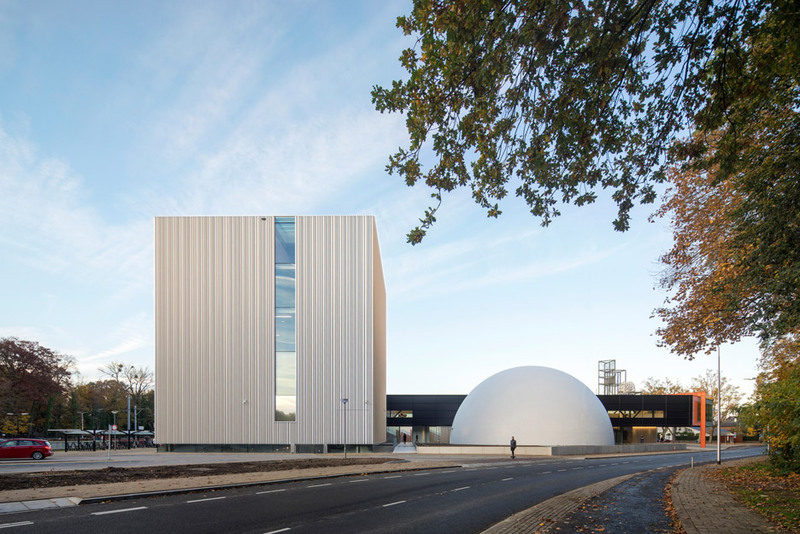 “Over ground, the complex appears as a composition of primary solids: a cube, a sphere and a beam,” explained the architects. 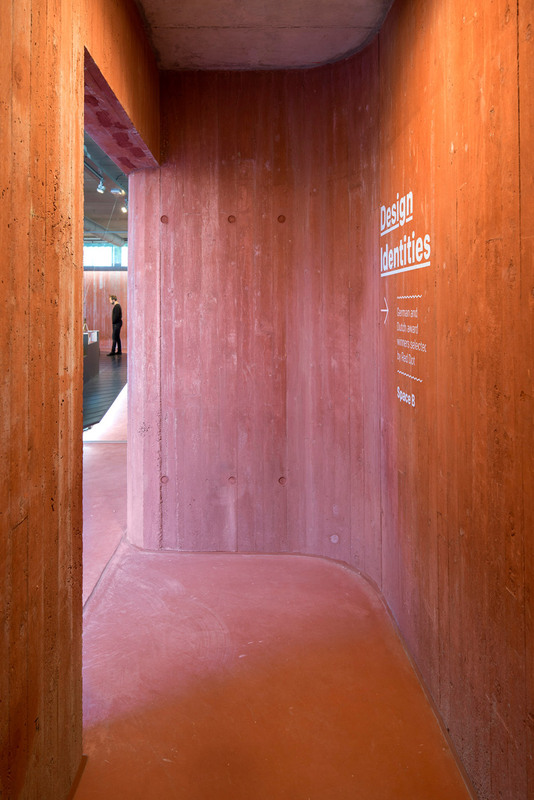 The buildings are linked by a subterranean plaza created from board-marked red concrete – a reference to the town’s mining historical past. 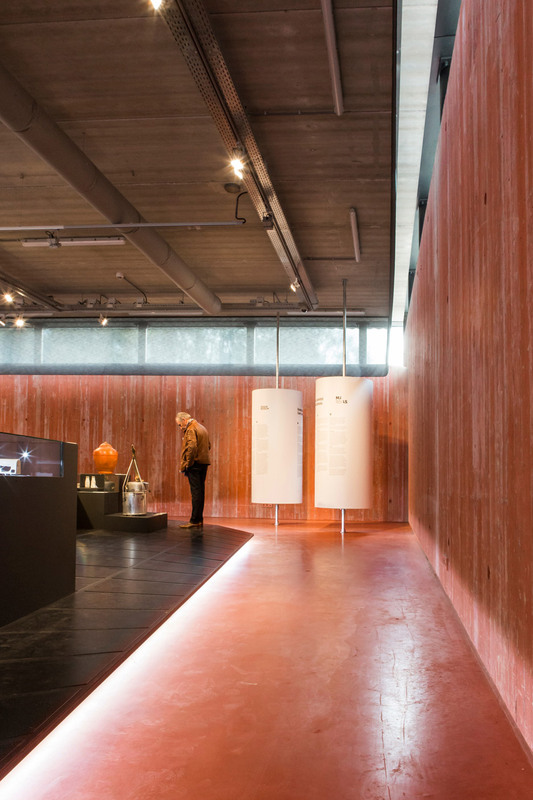 “The excavation out of red concrete, combined with the knowledge of descending under ground, refer to the mining past of Kerkrade,” explained the architects. 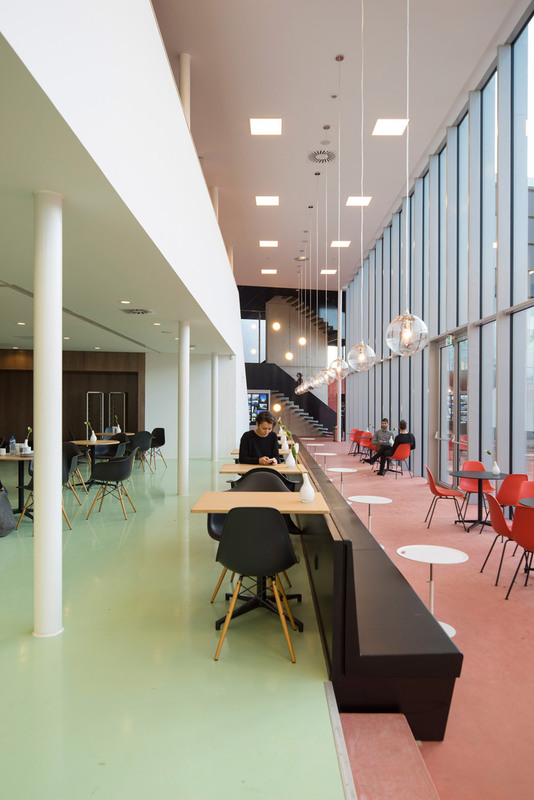 The reduce of the globe-shaped cinema extends into this underground level, producing a big bowl-shaped projection spot overlooked by two tiers of glass balconies. The upper half protrudes above ground level as a dome. 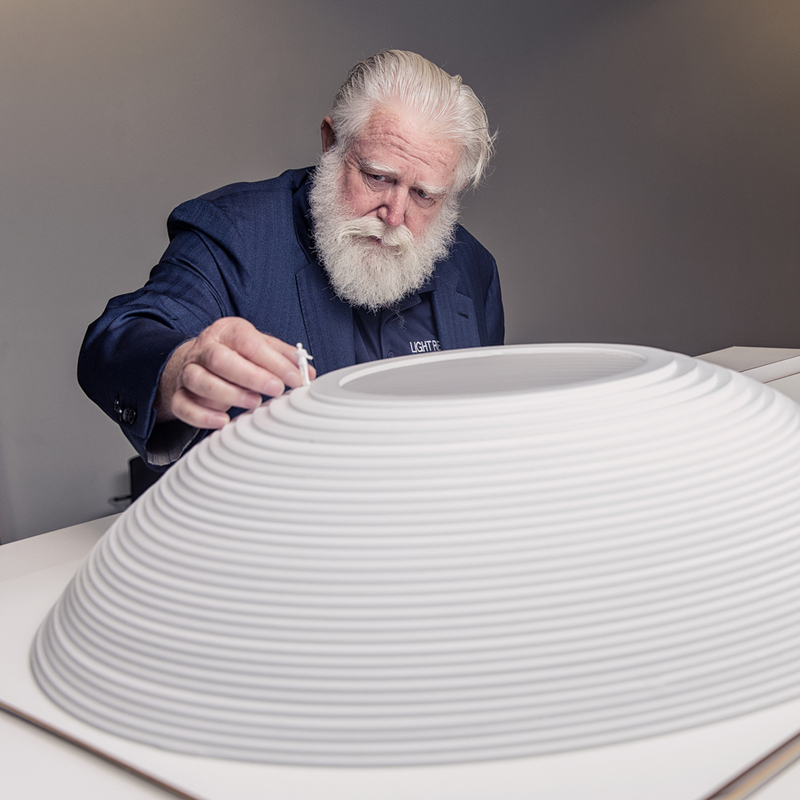 “This inverted planetarium delivers site visitors the encounter of an astronaut seeking back in the direction of planet earth,” explained the architects. 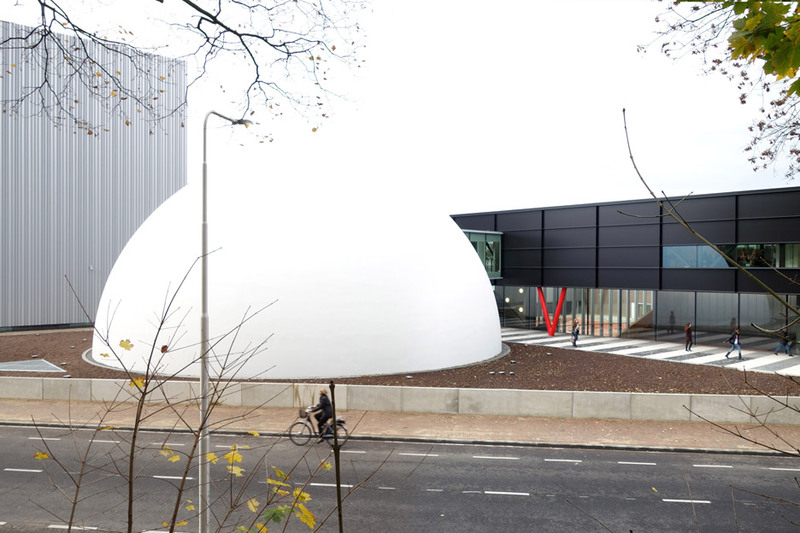 The sphere is made from two insulated shells of shotcrete – a materials formed by spraying concrete over insulated geodesic scaffolding. 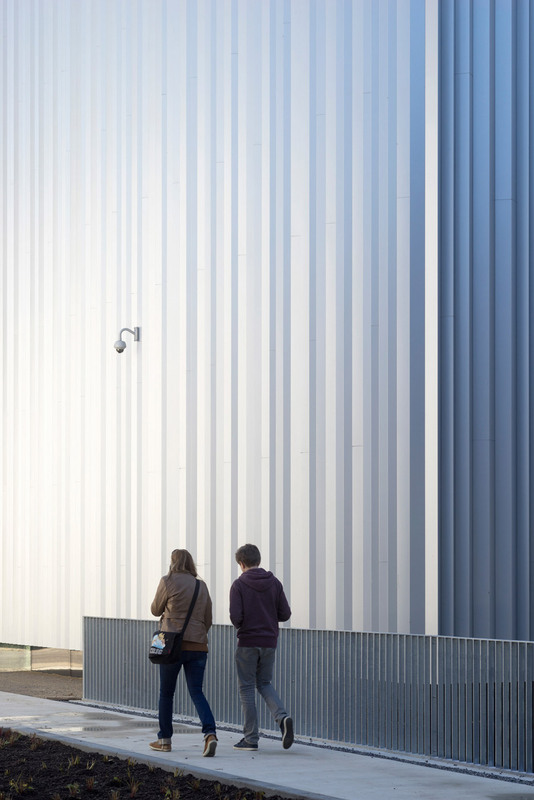 Its matt surface contrasts the neighbouring Cube design and style museum, which has a cladding of reflective steel sheeting. Vertical profiles give it a folded physical appearance that the architects liken to a curtain. 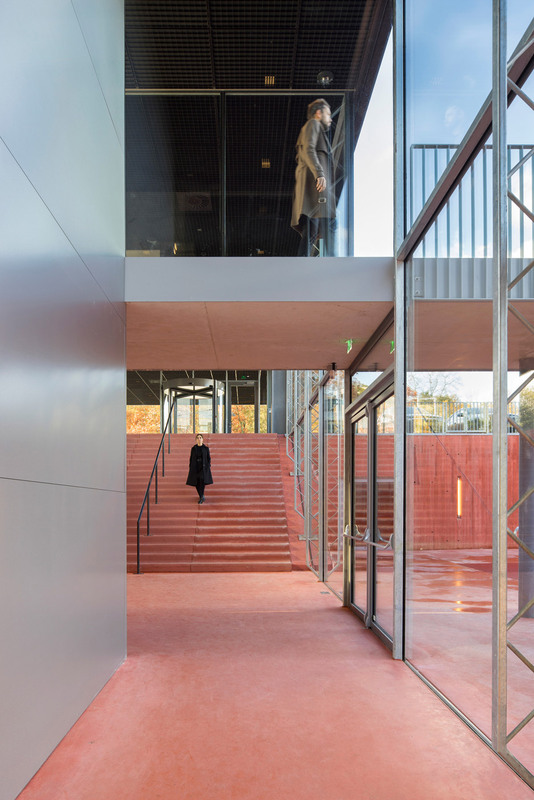 Two long strip windows reveal the galleries, although a glass base enables light to filter into the short-term exhibition space and gives the building the appearance of hovering more than its red concrete basement. 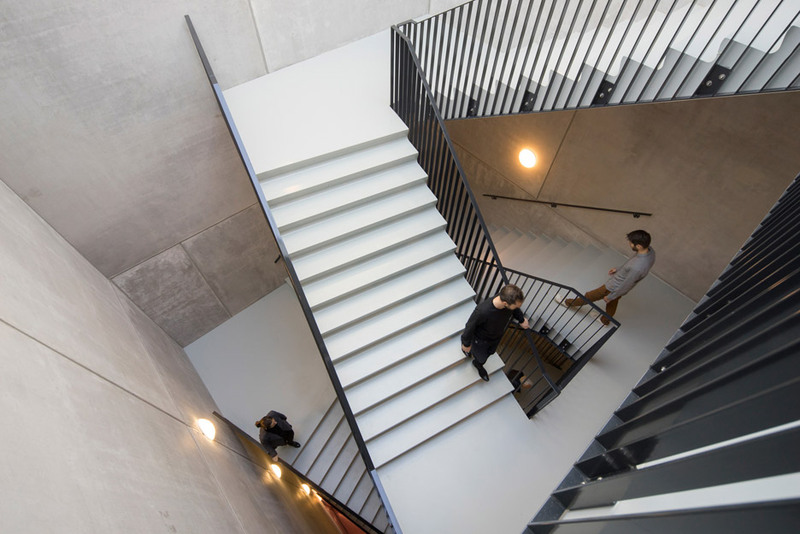 Angled staircases climb by way of its 25-metre atrium to an occasions room on the upper floor, which rewards from panoramic views more than the town. The open-plan room can be sub-divided with pink drapes for smaller occasions. 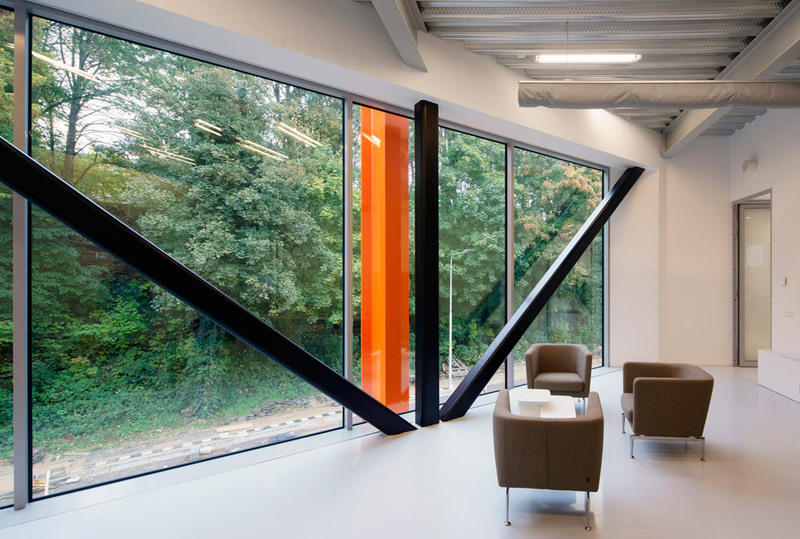 The ultimate addition is the bridge-like volume, which is supported by vibrant red trusses. 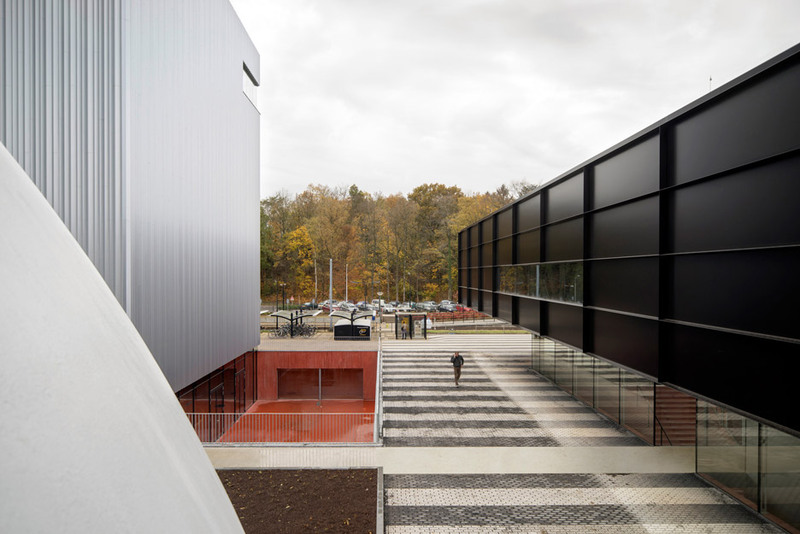 This black walkway extends for 80 metres across the museum plot and shelters the complex’s two entrances – a single directed in the direction of the train station and the other in the direction of the town centre. The elevated walkway and underground plaza minimise the museums’ constructed footprint, leaving space for public routes at ground degree. A broad stripy pathway conceived as an scaled-up zebra crossing spreads underneath the elevated block. It types the primary thoroughfare among the town and its train station, and is meant to entice visitors into the museum and its restaurant. A additional walkway connects the sunken square with a bus terminal in the forecourt, delivering passengers with direct entry to the basement restaurant. 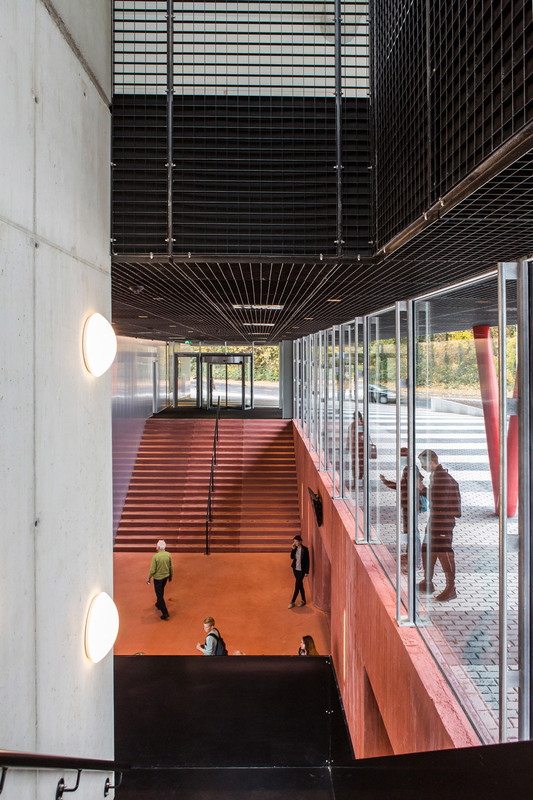 “The mixture of public room and public transport with the museum district fits flawlessly with the ambition of a museum with no boundaries: even passers-by become participants,” mentioned the architects. The Cube’s exhibitions will be programmed in collaboration with the Design Museum in London, the Cooper Hewitt and Smithsonian Style Museum in New York, and the German Red Dot Award. Photography is by René de Wit and Henny van Belkom.